Radiology RN training includes learning how to use diagnostic imaging technology. The wide array of jobs that registered nurses perform include sub-specialties such as diagnostic testing. 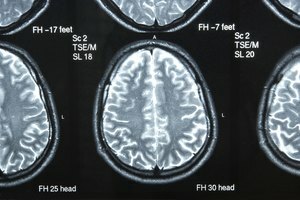 Radiology nurses are RNs who have specialized training such as computerized tomography, nuclear medicine, radiation oncology and magnetic resonance, according to the Association for Radiologic and Imagining Nurses. Registered nurses can receive the training necessary to enter the diagnostic imaging field through a variety of technical and continuing education programs while still working in their existing patient care positions. Radiology nurses combines two medical fields -- nursing and radiologic imaging. 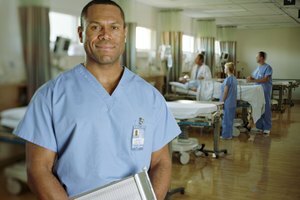 To work in the field, professionals must first attend a nursing school program that leads to an RN and then take additional coursework in radiology imagining. Certified radiologic nurses must have a valid RN license, 2,000 hours of on-the-job training in radiology within the past three years and at least 30 hours of continuing education in radiology care, according to the Radiologic Nursing Certification Board. 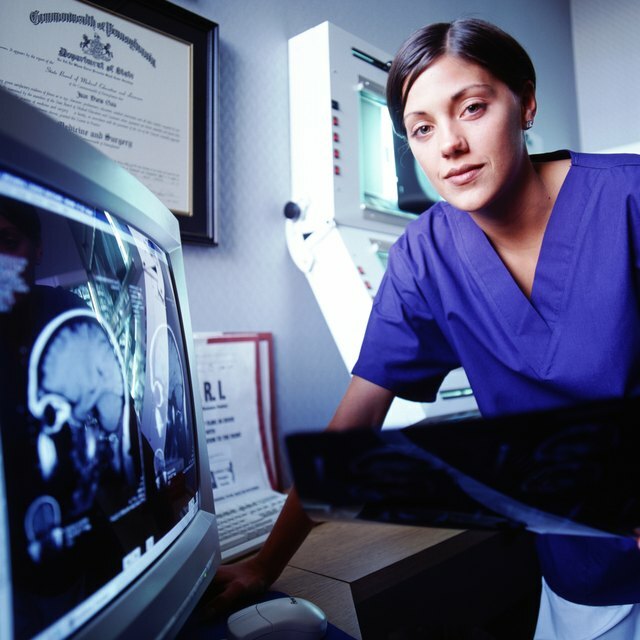 One route to take in becoming a radiology nurse is to add a radiologic technology degree to your existing RN. Completing a radiology tech program without an RN won't get you a job in this nursing sub-specialty, but will give you the training that you'll need in diagnostic imagining. For example, Clarkson College in Omaha, Nebraska offers a radiologic technology degree program that includes radiology procedures, patient care, radiology pathology and clinical experiences through hands-on clinicals. Radiology nurses maintain their certification and refresh their knowledge in continuing education programs. For example, ARIN offers an imaging nurse review course twice a year at their spring and fall conventions. Additionally, medical organizations can have ARIN staff present the program at their own site. The course, like other continuing education programs, provides information and instruction on topics such as managing patients who are undergoing radiology procedures, MRI safety and methods to minimize radiation exposure. Community colleges provide healthcare programs that include both nursing and radiology curricula. If you're looking to earn a nursing degree, but don't want to spend four years in school, a two-year associate degree will make you eligible to become an RN. After completing this type of program, you can add on a radiology degree at either the diploma or certificate level. For example, the Roxbury Community College in Roxbury Crossing, Massachusetts offers both nursing and radiology associate degrees. Loop, Erica. "Radiology Nursing Schools." Synonym, https://classroom.synonym.com/radiology-nursing-schools-41045.html. 26 September 2017.